In accounting, a current asset is an asset on the balance sheet which is expected to be sold or otherwise used up in the near future, usually within one year, or one business cycle – whichever is longer. Typical current assets include cash, cash equivalents, accounts receivable, inventory, the portion of prepaid accounts which will be used within a year, and short-term investments. On the balance sheet, assets will typically be classified into current assets and long-term assets. The current ratio is calculated by dividing total current assets by total current liabilities. It is frequently used as an indicator of a company’s liquidity, its ability to meet short-term obligations. In accounting, current liabilities are considered liabilities of the business that are to be settled in cash within the fiscal year or the operating cycle, whichever period is longer. For example accounts payable for goods, services or supplies that were purchased for use in the operation of the business and payable within a normal period of time would be current liabilities. Bonds, mortgages and loans that are payable over a term exceeding one year would be fixed liabilities. However the payments due on the long-term loans in the current fiscal year could be considered current liabilities if the amount were material. The proper classification of liabilities is essential when considering a true picture of an organization’s fiscal health. Working capital management involves the relationship between a firm’s short-term assets and its short-term liabilities. Decisions relating to working capital and short term financing are referred to as working capital management. These involve managing the relationship between a firm’s short-term assets and its short-term liabilities. The goal of Working capital management is to ensure that the firm is able to continue its operations and that it has sufficient cash flow to satisfy both maturing short-term debt and upcoming operational expenses. The management of working capital involves managing inventories, accounts receivable and payable, and cash. Inventory management. Identify the level of inventory which allows for uninterrupted production but reduces the investment in raw materials – and minimizes reordering costs – and hence increases cash flow; i.e Supply chain management; Just In Time (JIT); Economic order quantity (EOQ); Economic production quantity (EPQ). Debtors management. Identify the appropriate credit policy, i.e. credit terms which will attract customers, such that any impact on cash flows and the cash conversion cycle will be offset by increased revenue and hence Return on Capital (or vice versa). Short term financing. 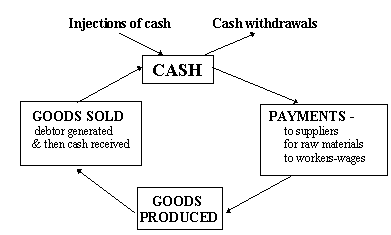 Identify the appropriate source of financing, given the cash conversion cycle: the inventory is ideally financed by credit granted by the supplier; however, it may be necessary to utilize a bank loan (or overdraft), or to “convert debtors to cash” through “factoring”. Cash is the lifeline of a company. If this lifeline deteriorates, so does the company’s ability to fund operations, reinvest and meet capital requirements and payments. Understanding a company’s cash flow health is essential to making investment decisions. A good way to judge a company’s cash flow prospects is to look at its working capital management (WCM). The speculative motive refers to the money kept aside to take advantage of suddenly arising opportunities. Current liabilities may be catered for. The business is able to pay its accounts timeously, allowing for easily-obtained credit. The finance profession recognizes the three primary reasons offered by economist John Maynard Keynes to explain why firms hold cash. The three reasons are for the purpose of speculation, for the purpose of precaution, and for the purpose of making transactions. All three of these reasons stem from the need for companies to possess liquidity. Economist Keynes described this reason for holding cash as creating the ability for a firm to take advantage of special opportunities that if acted upon quickly will favor the firm. An example of this would be purchasing extra inventory at a discount that is greater than the carrying costs of holding the inventory. Holding cash as a precaution serves as an emergency fund for a firm. If expected cash inflows are not received as expected cash held on a precautionary basis could be used to satisfy short-term obligations that the cash inflow may have been bench marked for. Firms are in existence to create products or provide services. The providing of services and creating of products result in the need for cash inflows and outflows. Firms hold cash in order to satisfy the cash inflow and cash outflow needs that they have. Firms can manage cash in virtually all areas of operations that involve the use of cash. The goal is to receive cash as soon as possible while at the same time waiting to pay out cash as long as possible. Below are several examples of how firms are able to do this. Here a firm already is holding the cash so the goal is to maximize the benefits from holding it and wait to pay out the cash being held until the last possible moment. Previously there was a discussion on Float which includes an example based on a checking account. That example is expanded here. Assume that rather than investing $1,000 in a checking account that does not pay any interest, you invest that $1,000 in liquid investments. Further assume that the bank believes you to be a low credit risk and allows you to maintain a balance of $0 in your checking account. This allows you to write a $300 check to the water company and then transfer funds from your investment to the checking account in a “just in time” (JIT) fashion. By employing this JIT system you are able to draw interest on the entire $1,000 up until you need the $300 to pay the water company. Firms often have policies similar to this one to allow them to maximize idle cash. The goal for cash management here is to shorten the amount of time before the cash is received. Firms that make sales on credit are able to decrease the amount of time that their customers wait until they pay the firm by offering discounts. For example, credit sales are often made with terms such as 3/10 net 60. The first part of the sales term “3/10” means that if the customer pays for the sale within 10 days they will receive a 3% discount on the sale. The remainder of the sales term, “net 60,” means that the bill is due within 60 days. By offering an inducement, the 3% discount in this case, firms are able to cause their customers to pay off their bills early. This results in the firm receiving the cash earlier. The goal here is to put off the payment of cash for as long as possible and to manage the cash being held. By using a JIT inventory system, a firm is able to avoid paying for the inventory until it is needed while also avoiding carrying costs on the inventory. JIT is a system where raw materials are purchased and received just in time, as they are needed in the production lines of a firm. Credit gives the customer the opportunity to buy goods and services, and pay for them at a later date. Working capital is vital to a business. They have to have funds available to pay their day to day bills, wages and so on. The working capital is made up of the current assets net of the current liabilities. It is very important to a company to manage its working capital carefully. This is particularly true where there is a substantial time lag between making the product and receiving the money for it. In this situation the company has paid out all the costs associated with making the product (labour, raw materials and so on) but not yet got any money for it. They must therefore ensure they have enough cash to do this. Between each stage of this working capital cycle there is a time delay. For some businesses this will be very long where it takes them a long time to make and sell the product. They will need a substantial amount of working capital to survive. Others though may receive their cash very quickly after paying out for raw materials etc… (perhaps even before they’ve paid their bills?) – they will need less working capital. For all businesses though they need to plan how much cash they are going to have. The best way of doing this is a CASH FLOW FORECAST. This figure should always be above 1 or the firm does not have enough assets to meet its liabilities and is therefore technically insolvent. However, a figure close to 1 would be a little close for the firm as they would only just be able to meet their liabilities and so a figure of between 1.5 and 2 is generally considered to be desirable. A figure of 2 means that they can meet their liabilities twice over and so is safe for them. If the figure is any bigger than this then the firm may be tying up too much of their money in a form that is not earning them anything. If the current ratio is bigger than 2 they should therefore perhaps consider investing some for a longer period to earn them more. Now let’s analyze the current ratio of Ring Shine Textiles Ltd according to the financial statements in the year 2007. As we see that the current ratio is below 1, RSTL does not have enough assets to meet its liabilities and is technically insolvent. The company should increase the amount of assets so that it can fulfill its obligations. A high level of profit looks very impressive but how can we tell if the level of profit the company is making is good or not? To do this we use another ratio. The ratio we use to assess this is called the PROFIT MARGIN. The profit margin is the level of profit, divided by the level of sales revenue as a percentage. In other words the percentage profit the firm is making on its sales. If we look at this from year to year we get a much better picture of how well the firm is doing. For example the level of profit may have gone up, but the profit margin hasn’t. What does this mean? This may mean that although the firm has sold more and made more profit, their costs must have gone up by a greater percentage than their sales revenue and so the level of profit that is left is less as a percentage. Better control of their costs is clearly needed. Now let’s analyze the profit margins of two consecutive years of Ring Shine Textiles Ltd.
From the above calculation we can say that although the operating profit has increased in the year 2007, its marginal profit has decreased to 0.165 from 0.189. It means that although the firm has sold more and made more profit, their costs must have gone up by a greater percentage than their sales revenue and so the level of profit that is left is less as a percentage. Better control of their costs is clearly needed. The final ratio in this section is the working capital turnover ratio – the relationship between turnover and working capital. The working capital turnover ratio is straightforward and here it is! Both in 2006 and in 2007, the results of the working capital turnover ratio were strange because year-end working capitals (net current liabilities in this case) were negative – it’s difficult to interpret such ratios. But in comparison with 2006 the working capital turnover in 2007 is much worse. The total assets are made up of fixed assets (plant, machinery and equipment) and current assets which is the total of stock, debtors and cash. The total liabilities are made up in much the same way of long-term liabilities and current liabilities. The net assets figure therefore can be used as a measure of the value of the business. It is the value of everything the business owns after all the debts have been taken account of. Profit is often a misunderstood term. Profit is the surplus in money terms that a firm has made after paying all the costs associated with producing and selling that product. It should not be muddled with sales revenue which is the money the firm has received from selling the product. There are various types of profit that are measured by accountants in the firm’s profit & loss account. Operating profit is the profit after both the direct and indirect costs have been paid. Operating profit is sometimes also known as TRADING PROFIT. Ring Shine Textiles Ltd. is striving to expand their industrial portfolio to meet the needs of growing population. The enterprises of Ring Shine Textiles Ltd. play a positive role in alleviating poverty and generating employment. Ring Shine Textiles Ltd. is striving to ensure greater public utility and hygiene, with a great care for the environment and human inhabitation. RSTL is committed to produce the best quality import substitute preforms and closures with the best machineries. Current ratio is 0.697 which is less than 1. This means RSTL does not have enough assets to meet up its liabilities and is technically insolvent. 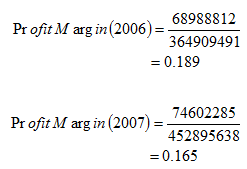 In 2007, marginal profit has decreased to 0.165 from 0.189, in comparison with 2006. Their costs have gone up by a greater percentage in comparison with sales and profit. Both in 2006 and 2007 the working capital turnover is negative. It is worse in 2007 than that of 2006. The company’s net asset is positive, that means it is able to meet up its long term obligations. Ring Shine Textiles Ltd.’s employees are not satisfied with their working environment. Employees of RSTL are not efficient. Customers are not satisfied with their service. RSTL lacks well trained human resources. Ring Shine Textiles Ltd. (RSTL) should improve its product quality. RSTL can form an effective sales team for market operations. RSTL needs to recruit sufficient number of women employees. The authority of RSTL should introduce more and more innovative and modern customer service. RSTL should go aggressive advertising and promotional activities to get a broad geographic coverage. RSTL should increase skilled manpower to conduct its financial activities. Financial activities should be conducted by finance graduates only. RSTL should arrange various seminars and training programs semiannually to increase the skill of its manpower. The company should increase the amount of current assets to fulfill the short term obligations. To increase the profit margin ratio, better control of costs is clearly needed. Ours is a free market economy, where private sector plays a key role in establishing an industrial base. Without adequate manufacturing firms it is not possible to meet up all the basic needs of the vast population of the country. To meet up various demands of the people of our country private companies are growing. Ring Shine Textiles Ltd. is one of them that are striving to expand its industrial portfolio to meet the needs of a growing population. 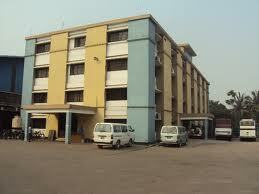 Ring Shine Textiles Ltd. is committed to the prosperity of Bangladesh. Its enterprises play a positive role in alleviating poverty and generating employment an important objective of our country. All around the world there has been a noticeable growth and success of the Textiles industry. Being inspired by this excellent growth, financial performance and future prospects of the Yarn & Fabric market, sponsors are confident that it would be beneficial and worthy to invest into the Textiles industry. With this end in view the company has decided to set-up a whole new line of business under the same management. The excellence of the technology, the genius of company’s personnel, clear vision and commitment of management “Simply the best” in the RSTT Textiles arena is the mainstay of this bold initiative.